Every summer in the early 1970s, I used to jump in my 1964 Volvo sedan and travel to different fiddlers conventions in the South. In the back seat, I stacked my fiddle, banjo, mandolin and guitar. On top of that I threw my sleeping bag and a paper bag that held my provisions, which usually consisted of a jar of peanut butter and a loaf of bread. Back then, it seemed like almost every community in southwest Virginia and western North Carolina held their own little fiddlers convention that was put on to raise money for the Lions Club or the local fire department. Besides the fun of competing for ribbons and cash prizes, it was great to meet some of the old-timers who came out of the hills with their banjos and fiddles to compete and jam. 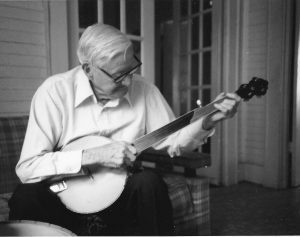 One of the greatest musicians of the older generation that I got to know at these conventions was Tommy Jarrell. Although he never entered any of the contests, he was there to play music with about anybody who would join in…and a lot of us did. It was from Tommy that I learned this version of “Fall on My Knees,” who said he first heard the tune in about 1915. “Fall on My Knees” is a Surry and Grayson County, Virginia version of an older folk song known as “Lonesome Road” or “Look Up and Down That Lonesome Road.” It appeared in Carl Sandburg’s book, The American Songbag (1927) and has been recorded by everyone from Joan Baez, Doc Watson and even that scoundrel, Wayne Erbsen. Playing “Fall on My Knees” is about as easy as eating apple pie. 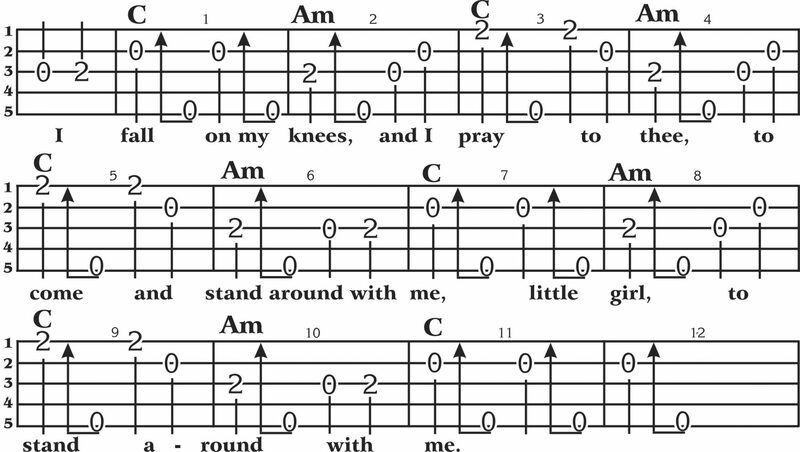 It’s written out for you in double C tuning (gCGCD). If you make your C chord with your middle finger you can easily play the A minor (Am) chord by adding your index finger to the 3rd string, 2nd fret. Hot Lick #1: When the melody goes up to the 1st string, 2nd fret in measures 3, 5, and 9, you can play a hammer-on. The second time there is a 1st string, 2nd fret in those same measures, you can play a pull-off. Hot Lick #2: You can play a hammer-on-pull-off combo in measures 3, 5 and 9. No other woman like you. You’ll never get to heaven when you die. Good-bye little woman, I’m gone. 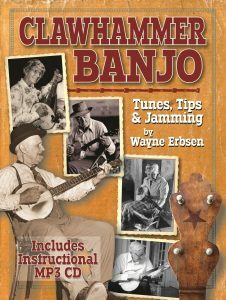 You can purchase this book on our website as a spiral bound paperback with CD or instant-download PDF (comes with MP3s). It is also available on Amazon. 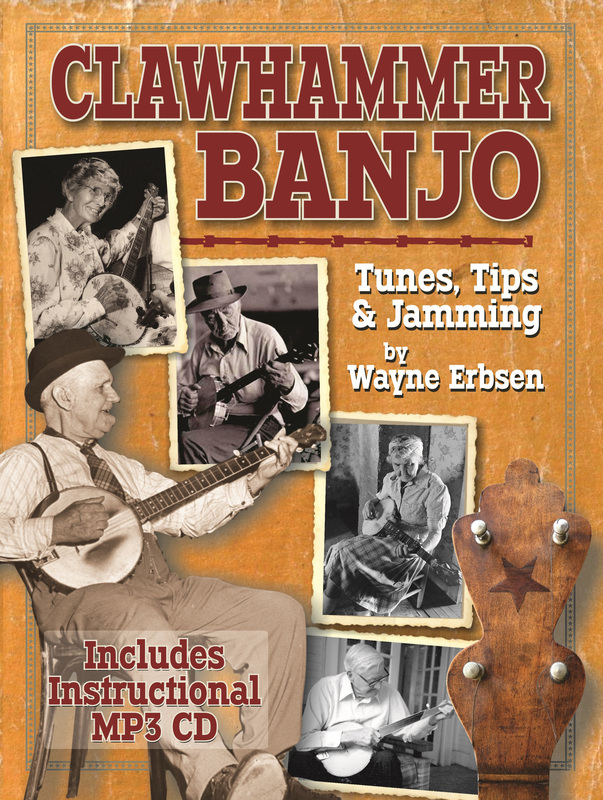 Wayne has also written Clawhammer Banjo for the Complete Ignoramus, Southern Mountain Banjo, Bluegrass Banjo for the Complete Ignoramus, Bluegrass Jamming on Banjo, and Starting Bluegrass Banjo from Scratch- all available on our website and Amazon.